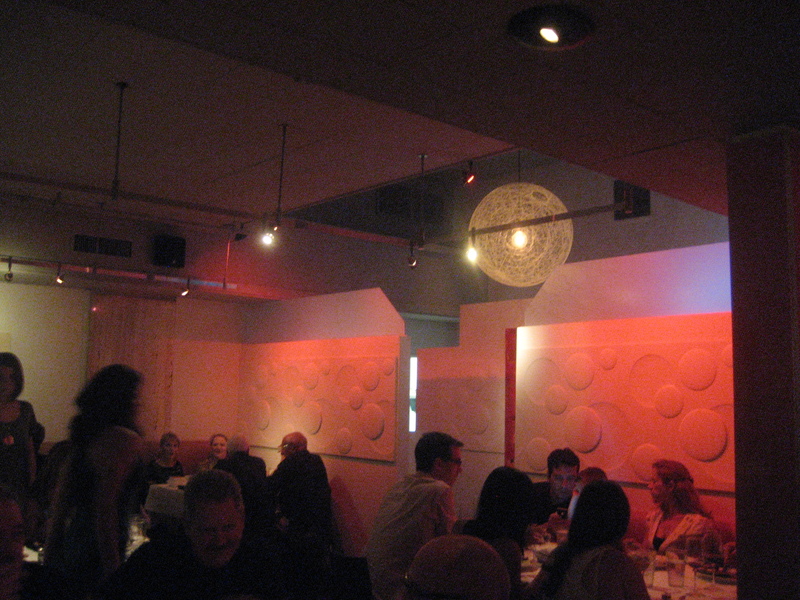 Trio, which just happens to be located right next door to the Shag Store, made its debut on the dining scene a year and a half ago and has attracted quite a following. 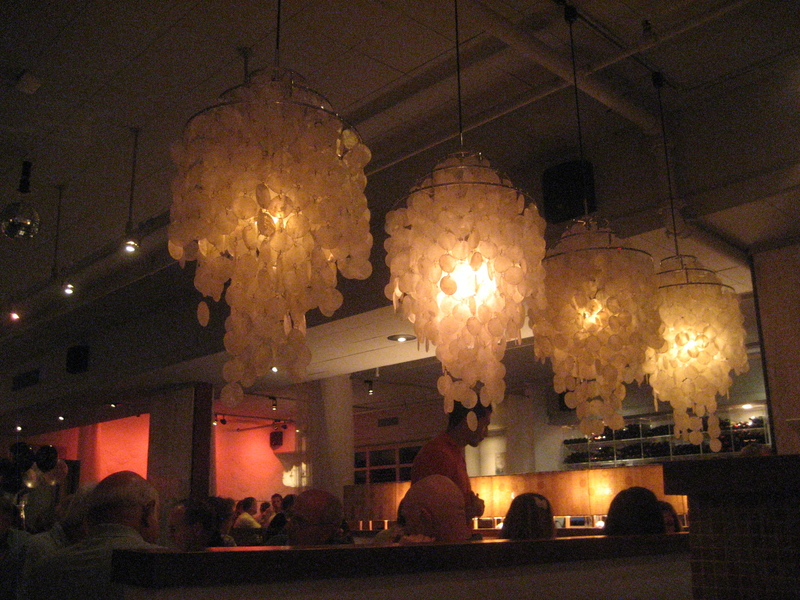 The design is very mod, with interesting light fixtures and lots of white, mauve and mellow orange tones. 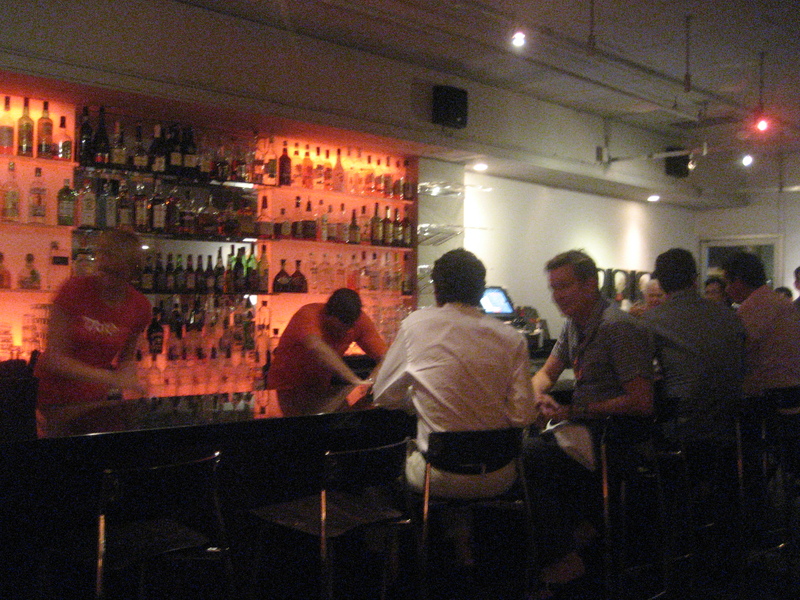 It was a bustling Saturday night, but we were able to be seated right away at a tall table in the bar area. 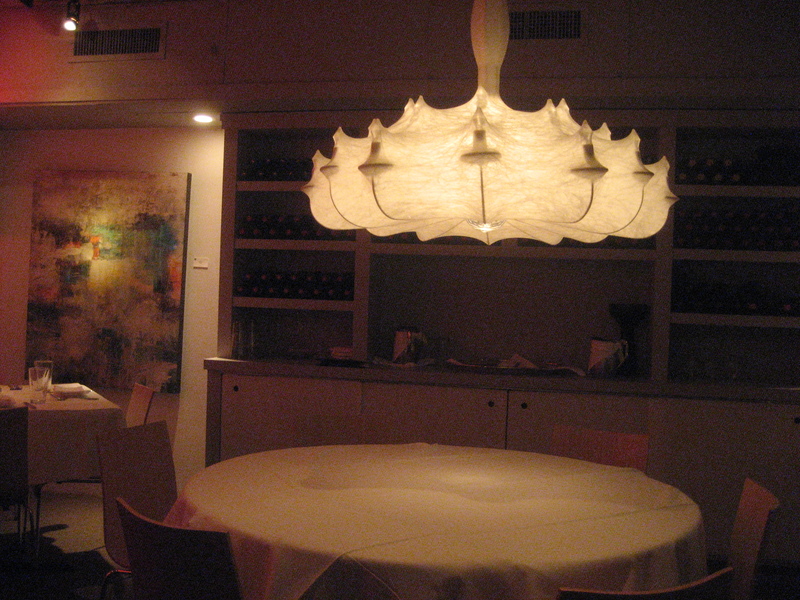 If you’d prefer something a little more formal, I’d recommend making reservations. 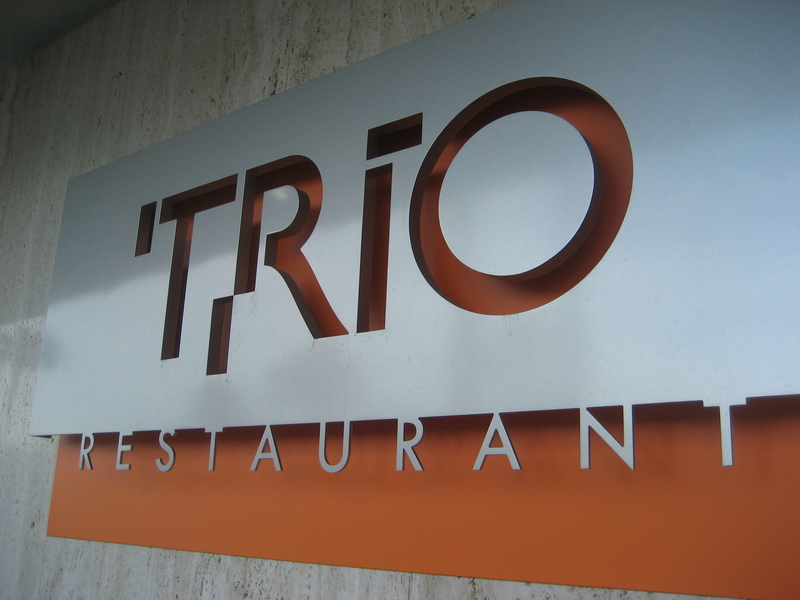 Trio specializes in what’s grown to be my favorite kind of cuisine: creative, upscale comfort food. 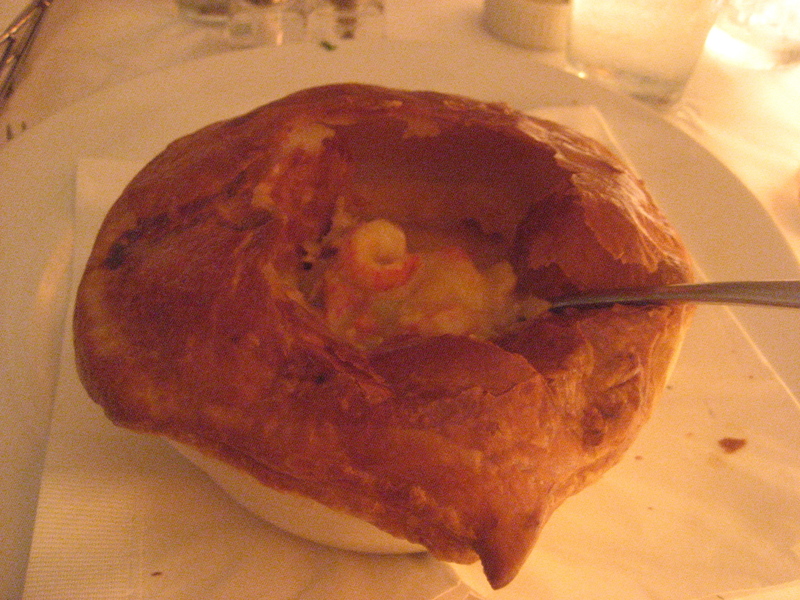 The rich and hearty crawfish étouffée pot pie was right up my alley. My date Mr. 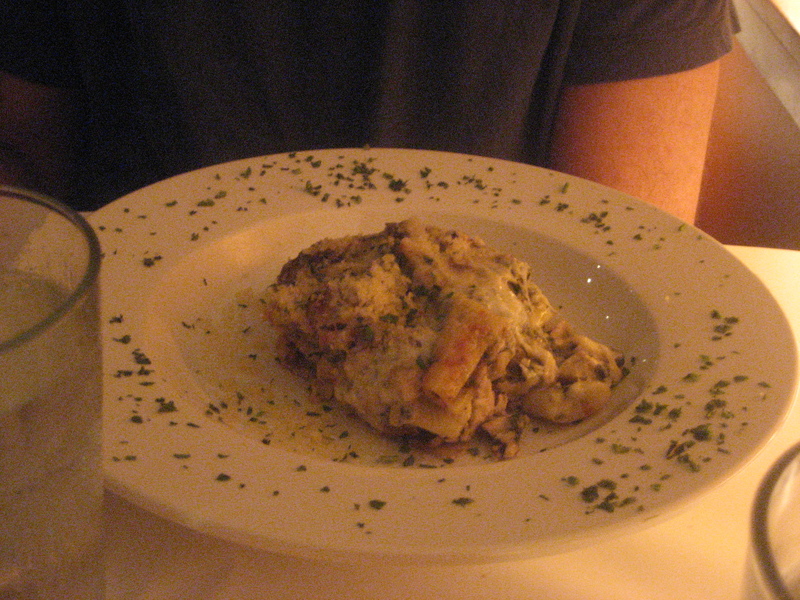 Baseball also picked a winner with the baked Rigatoni Al Forno with chicken, spinach, mushrooms, fontina, mozzarella and parmesan. Mmmm, carbs and cheese. I’m thinking a return visit is necessary next time we’re in town. There are so many more tempting dishes to be tried, like fried artichoke hearts with caper aoili and macaroni with five cheeses and bacon. Bonus: Their web site features specials like a 10% off dining coupon and $19 three-course prix-fixe menu from 4 p.m.-6 p.m., plus there’s happy hour in the bar until 7 p.m. with discounted drinks (though not any of the specialty cocktails, alas). Trio looks like a great place! 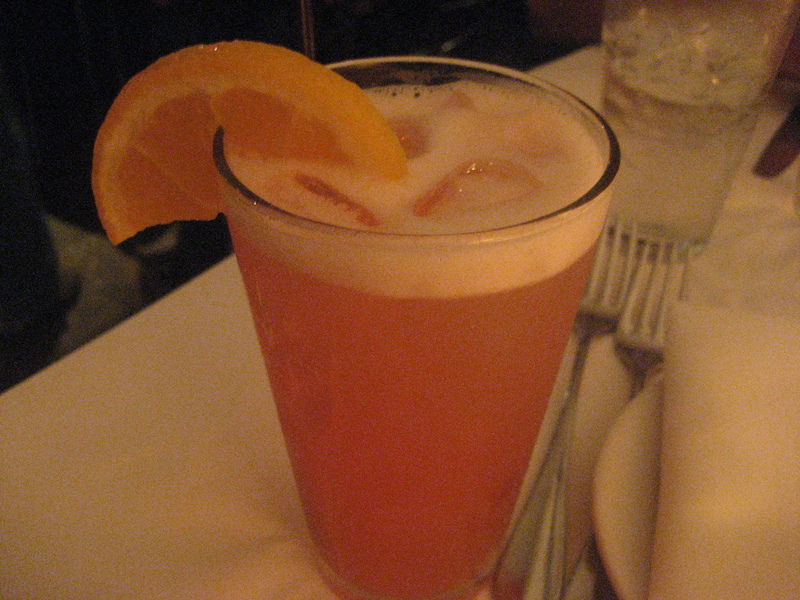 I love comfort food, and the mai tai sounds delicious! Definitely a spot to hit if you’re in the area.